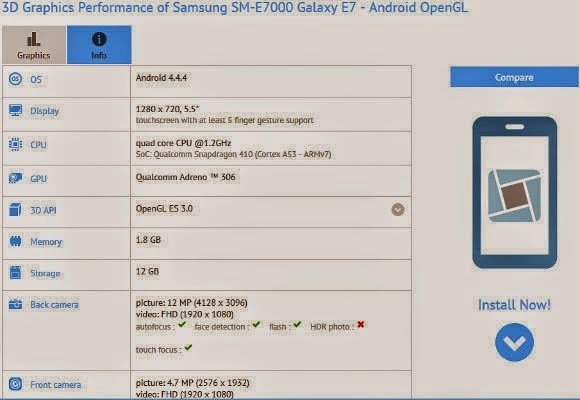 The newly announced Samsung Galaxy E7 leaked by a benchmark with its full specifications would be released 2015 at Q1. So we can bodly say that the launch of this smartphone would be happening soon. The Galaxy E7 smartphone is said to be 151 x 77 x 7.2 mm (5.94 x 3.03 x 0.28 in) in terms of dimension according to benchmark listing. Once the arrival of the Samsung galaxy E7 is finalized, then the pre-installed would be powered with Android 5.0 Lollipop, though the announced operating system for it is 4.4 Kikat. 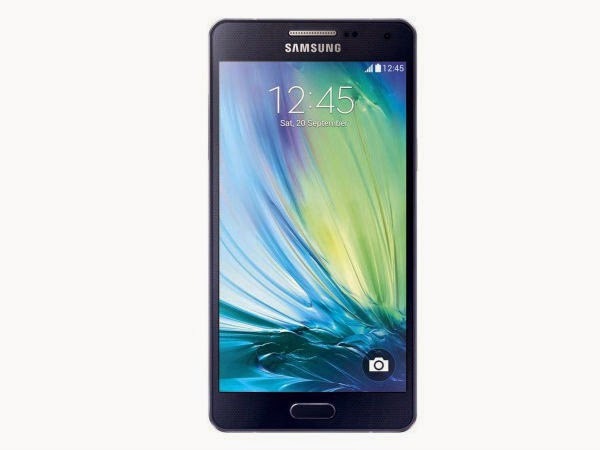 Below explains the full specs, details and price of the Samsung Galaxy E7. 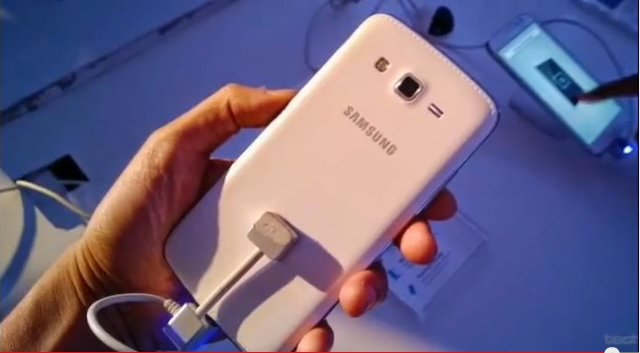 The Samsung Galaxy E7 is said to be powered with a 2GB RAM and an internal storage memory of 16GB. It also accepts a microSD card upto 64GB. The Samsung galaxy E7 also runs on Android OS 4.4.4 kitkat versionwith a chipest of Qualcomm MSM8916 Snapdragon 410, Quad-core 1.2 GHz Cortex-A53 CPU and Adreno 306 GPU. The platform is really nice though. The Samsung galaxy E7 comes with a primary camera of 12 MP, 4608 x 2592 pixels, autofocus with LED flash, secondary camera of 5MP, video type of 1080p@30fps and finalized camera features with Geo-tagging, touch focus, face detection and panorama. In terms of connectivity, the samsung galaxy E7 is WLAN enabled with WI-Fi 802.11 a/b/g/n, dual-band, and hotspot. The smartphone is also bluetooth enabled with the v4.0 bluetooth and A2DP. It also acquires GPS with A-GPS and GLONASS, NFC enabled TBC radio type and also a microUSB v2.0 port slot. Other features of the samsung galaxy E7 are, such as the Accelerometer, gyro sensors, messaging such as Email, Push Email etc. The browser type is HTML5 and it's also GPS enabled. It can also run java via Java MIDP emulator.